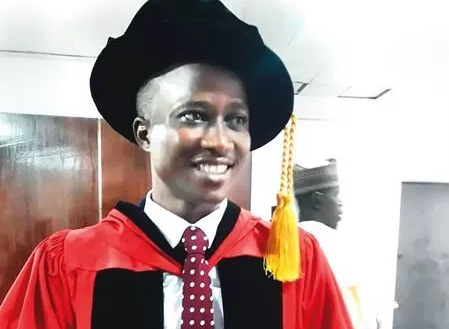 Tribune's Tunbosun Ogundare writes on the striking achievement of Oluwaseyi Ajibade, who recently graduated with the best Ph.D thesis in his set from the University of Lagos. Ajibade stole the show at the 50th convocation ceremonies of the University of Lagos held last week. They were 5,405 graduands in all from the Postgraduate School of the university for the occasion. 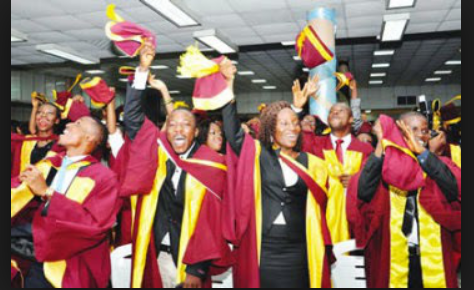 150 of them, including Ajibade, are PhD holders, while 4,771 have master’s degree and the rest diploma. Podium to receive his numerous prizes and also have a handshake with the eminent personalities on stage, including the chancellor, pro-chancellor and vice chancellor of the university, Dr Abubakar Ibn Umar El-Kanemi, Dr Wale Babalakin and Professor Oluwatoyin Ogundipe, respectively. He was, indeed, a cynosure at the event. Interestingly, 13 years ago, Ajibade’s story was not that inspiring as he graduated for his first degree in Mechanical Engineering from the Lagos State University, LASU, Ojo, with Third Class. Though, he had been somehow brilliant right from his primary school days up to the time he was at the Baptist Boys High School, Abeokuta, Ogun State, and also at Nigerian Navy Secondary School, also in Abeokuta, where he had his junior and senior secondary school education respectively, he graduated from LASU unsung. “I graduated with a Third Class degree from LASU. And that should be due to a number of factors which I may not be able to explain,” he said. Ajibade, who hails from Lagos Island, was ahead of 149 other graduands in his set, including Olumide Oyebade, who won the best PhD thesis in Humanities and also the renowned comedian, Helen Paul, who bagged a PhD in Theatre Arts, to lead the pack. For that, he won the overall best PhD Thesis prize in the Postgraduate School, and also in the field of Science and Engineering. He also received a cash prize from the institution’s alumni association and from the Postgraduate School, among others. Ajibade studied Metallurgical and Material Engineering and not mechanical engineering which he studied at undergraduate level. He said he opted for the course because that is where his strength lies. He explained that he caught the vision in his 300 level days at LASU when he was the only student in a class of over 120 people who scored ‘A’ in Physical Metallurgy, a general course for all engineering students. “Many students usually don’t pass the course, but I did very well in it,” he said. His thesis at UNILAG, entitled ‘Developmental and Optimisation of Dual Particle Reinforced Polymer Composites for Automobile Brake Pad Application’, is centred on the use of conventional materials to develop automobile brake pad. “I hope the project would be developed for mass use,” he said. However, Ajibade did not come by this achievement on a platter. He told Saturday Tribune that it was a product of sacrifice, hard work, commitment, diligence, and determination, coupled with God’s benevolence. He explained that he had read about many people in and outside the country who had moved from zero level to become big legitimately in the society. “So, I decided to brace up myself right from my master’s programme and I did well and qualified for PhD programme,” he said. “But I must equally add that my supervisory team was made up of wonderful people. They are great tutors. They encouraged me a lot,” he added. Even at that, and just like many other Nigerian students who faced lots of challenges, especially that of finance mostly because they are not from financially buoyant families, Ajibade is no exemption. His PhD programme was a full-time while his parents are retirees with no surplus money at hand. “So, at times, there would be no money at hand to sustain myself and carry on with my project. But somehow, God would just come in and make a way out by using people, including my supervisors to support me,” he said. But then, all was not about reading and studying. Ajibade also engaged in social life on and outside the campus. For him, it was a matter of effective planning to strike a balance. “Sincerely speaking, I was focused and very determined to come out with an excellent grade,” he pointed out. But then, it wasn’t as if I was totally cut off from social life. I have many friends and I’m also into a relationship. I attended social functions and also church services on regular basis to worship God as a committed Christian. I also did watch movies and documentaries and all that. Now, Ajibade, who in-between his first and master’s degree programmes had a brief stint in the banking and automobile industries, is ready to take up teaching appointment, preferably with UNILAG. “I love lecturing job so much and I know I will do very well in it. So, while I would be lecturing, I would continue with my education to a post-doctoral position,” he said.